Ultimate in Versatility. Ultimate in Comfort! Isn’t it about time you had a machine as spontaneous as you? 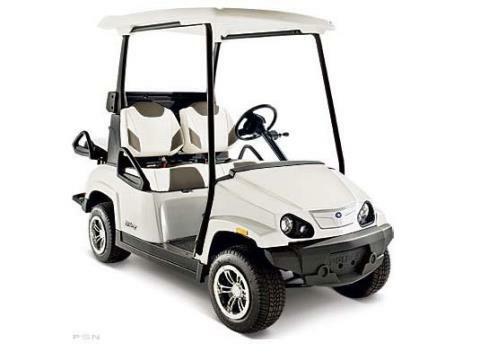 Whether you want to golf, ride with up to four passengers, or carry cargo, The Breeze™ has you covered with its unique MyChoice rear seat conversion. Because you should be thinking about what you want to do today, not how. The Breeze™ MyChoice™ comes standard with turn signals, horn, hazard lights, and a 12V accessory outlet. It's also got a full-width front bumper, 10 inch wheels, and premium hubcaps. See and be seen with adjustable Hi / Lo-Beam headlights, 24 LED tail lights, and 360° reflection. The Polaris Breeze™ can get you up to 50 miles range on a single charge. After use, you can recharge its 6 / 8V battery package with the premium, portable charger that comes standard. A discharge indicator on the dash will let you know how much is left in your charge. Only MyChoice™ rear-seat-conversion lets you effortlessly switch from golfing, to riding with four passengers, to carrying cargo. The rear seats fold up so anyone can easily change them on the fly. Because the Breeze™ is built to be as spontaneous as you are!